Finding the vet for your pet's needs. You want a vet who. . The best vet for your Chinchilla would be an Exotic vet. 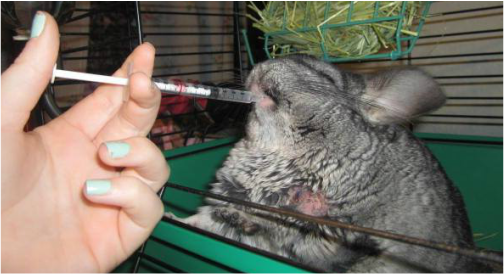 Chinchillas are Exotic animals and need doctors who specialize in critters like them. Other vet's cater to domestic animals like cats, dogs, and livestock. They may not be able to care for your pet as well as an Exotic vet. You want a vet who will listen to what you have to say, and one who will respect your wishes. Some vets will only believe what they know, and are not open to learning new techniques or information. If your vet is not willing to grown and learn to better serve you and your pet's need as a paying client, find a vet who will. There's more than 1 way to treat most ailments and injuries. 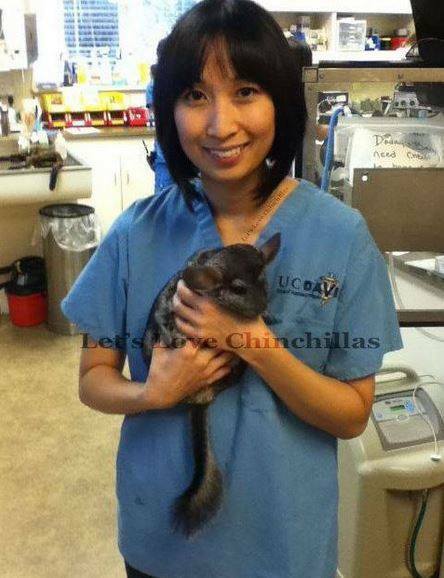 You want to find a vet who has experience with Chinchillas. Someone who will handle them responsibly and delicately. A vet that can say with certainty that they know how to treat a Chinchilla is always the best choice. Vets do have to gain experience over the years and through trial and error, but that does not mean you have to subject your pet to be their guinea pig. You are entitled to educated and experienced vets who know what they're doing. There is nothing worse than a vet who is too busy to talk to you. You want a vet who will sit down and talk to you about any procedures or medications they have for your pet. These are important things. A vet should be able and willing to explain all steps, side effects, or things to expect following your visit. Also, your vet should be able to show you how to clean any wounds or dressings your pet has, administer any medications ( may they be oral or injections ) and show you how to feed a soft diet if it's what they recommend. If they can't do it, and show you how, how can you do it? What to do if you can't find / afford a vet? Depending on your home situation, I would suggest either surrendering your pet to the nearest Chinchilla specific rescue, or surrendering your pet to the nearest reputable breeder. Shout out to Dr.Lee at Monte Vista Small Animal Hospital in Turlock CA for saving Aurora's life! Here is Aurora taking some Oral antibiotics.